Our objective is to continue to stay at the top of our specialised market within the construction industry – to retain and improve our enviable long standing reputation, observe regulatory requirements, continuously review, measure and assess company performance and maintain customer focus to ensure clients satisfaction. Our management and site staff have a responsibility to comply, review, improve and measure the quality management system on an ongoing basis. Our success is based on the quality and commitment of our experience and professional management and construction personnel. Ongoing research and development of our operative's skills and construction methods ensure that we combine both to producing a product and service that meets the satisfaction of our clients. It is our company policy to make sure all employees are aware of the Company Quality, Health, Safety & Environment Policies by regular induction and training. The Quality Assurance Manager is required to maintain the control and issue of this document and report to the Directors on the implementation of its requirements, recommendations and effectiveness. 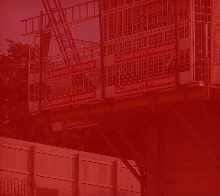 The management and directors of Midwest Formwork Ltd are fully committed to the Quality Management System and will ensure that the company is affecting a system which meets the full requirements of SpeCC & BS EN ISO 9001:2008.